A long winding road, greenery and gentle music playing in the background. Then, a voice from the cramped backseat: "Are we there yet?" When Google Maps has turn-by-turn navigation turned on, the virtual assistant, Google Now, will pop up every now and then to tell you to take a turn or an exit but most of the time it stays quiet. But as virtual assistants become more human-like, mom and dad aren't the only ones who can scold annoying backseat riders anymore. You'll hear it when you tap the mic button and ask the assistant "Are we there yet?" a few times in the latest version of the app. Cody Toombs of Android Police did exactly that and discovered an "easter egg" -- a humorous response that developers hide in virtual assistants -- that pays homage to a 1980s classic movie. 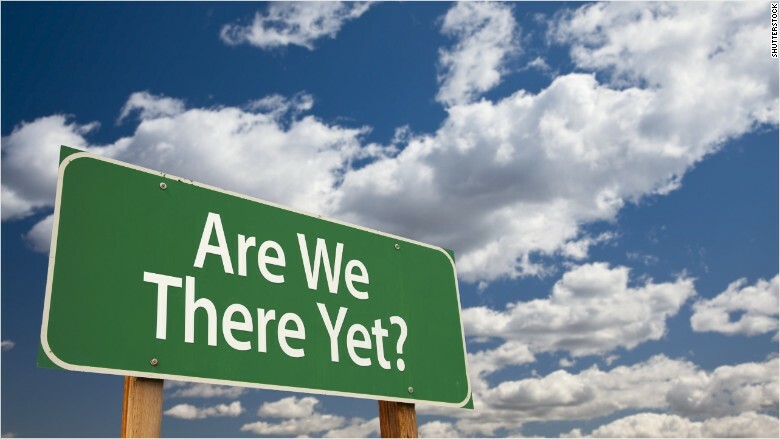 The first few times Toombs asked the nagging question "Are we there yet?" the device responded with a curt "No." He dared to venture down the same path a fourth time and Google Now snapped back! "If you ask me again, we won't stop for ice cream," it replies cheekily, echoing the iconic Chevy Chase line in the first of the Vacation films, "National Lampoon's Vacation."